*Please note the below links are for sample menu’s which are subject to change seasonally. Our kitchen is led by our award winning chef Andrew Jones. Andrew was born on the Essex coast into a family of chefs. So it was inevitable that his ambition to be a chef began at a very young age and he fondly recalls memories of cooking with his grandmother whenever he had the chance. After graduating with distinction, Andrew accepted an Extended Apprenticeship at the world famous Claridges Hotel. This gave him the opportunity to hone his skills as well as compete in many competitions winning the highest mark in the country for The Academy Awards of Excellence (1999), gold, silver and bronze medals at Hotel Olympia and gold in the Culinary World Cup (2010). After twelve and a half years, Andrew felt it was time for a change and a more challenging role. Leaving Claridges he became Executive Chef at the Westbury, a 5* hotel on London’s exclusive Bond Street. Whilst at the Westbury, he was also invited by The Roux family at the Waterside Inn to assist in the running of catering at Royal Ascot in 2010 and 2011. 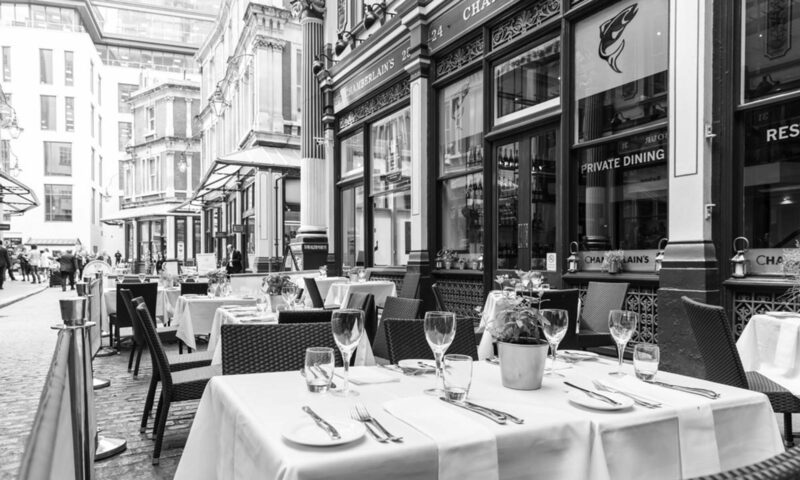 Joining Chamberlain’s in 2011, Andrew quickly established his award winning approach to organisation and the creation of good food using the extensive knowledge of our parent company Chamberlain & Thelwell based at Billingsgate to source the finest fish & seafood. Andrew is a proud member of the Slow Food UK Chef Alliance and actively supports the Slow Food movement.